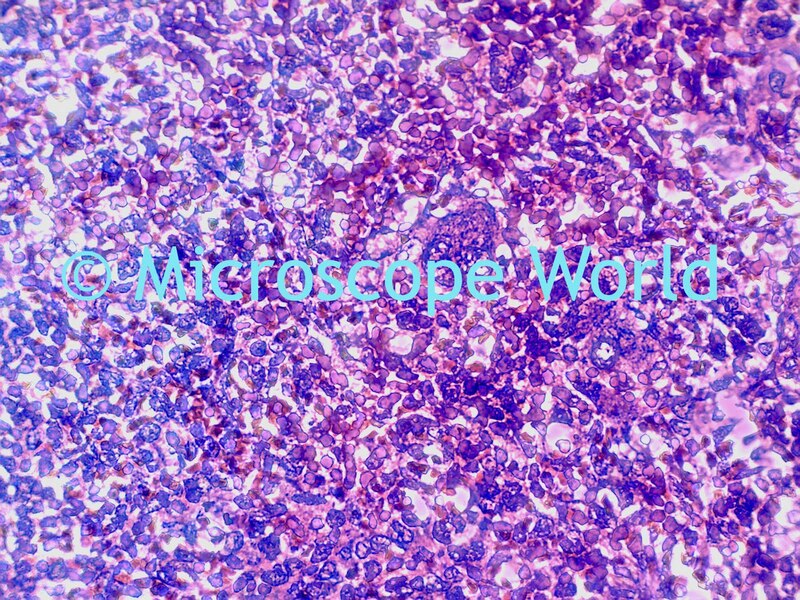 The images below are of a spleen and were captured at 400x magnification with the Meiji MT5310 microscope. 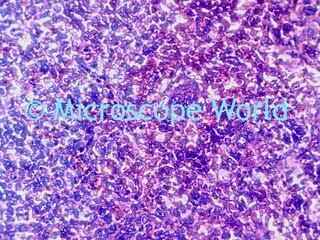 This microscope has the capability of viewing specimens with brightfield, darkfield and phase contrast. This image was captured using brightfield. 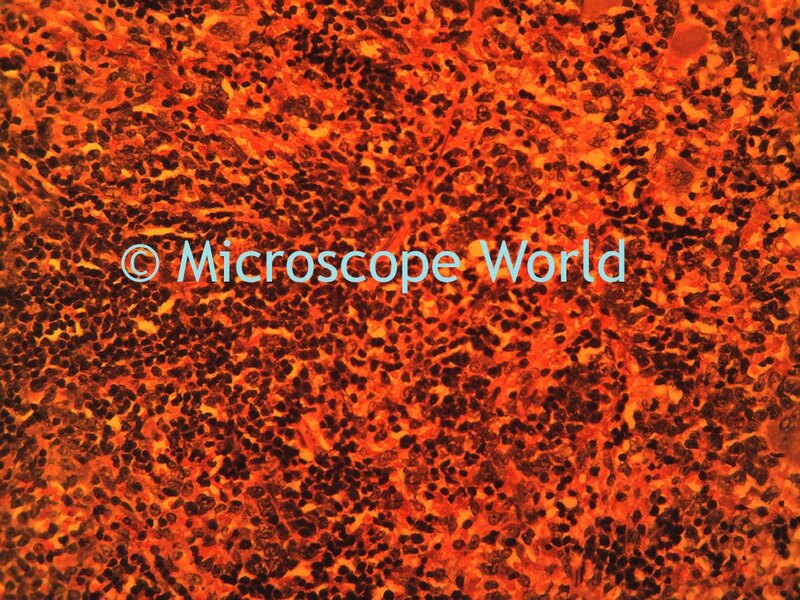 Brightfield microscopy is the standard form of microscopy found in most high schools when using a high power light microscope. This image was captured using darkfield. Darkfield is similar to back-lighting a subject. 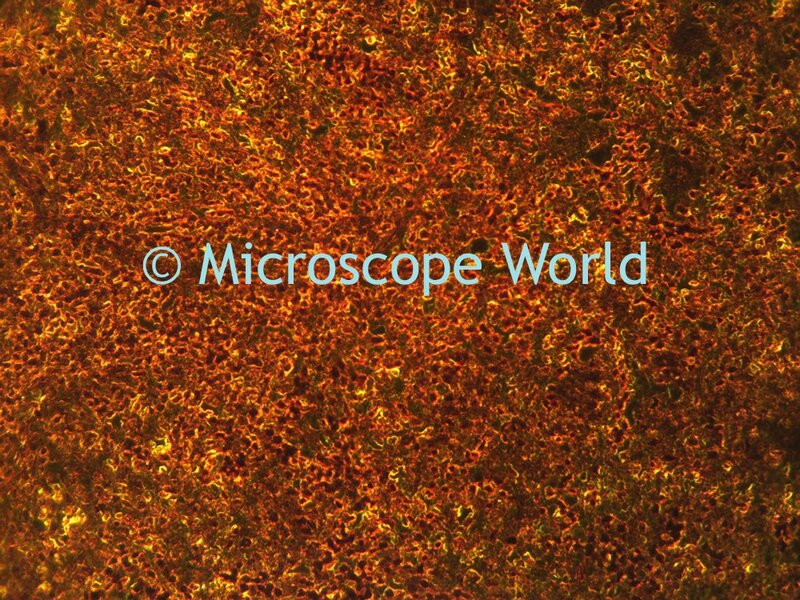 This microscopy technique takes the light and diffuses it toward the sides rather than directly through the objective lens. This image was captured using phase contrast. 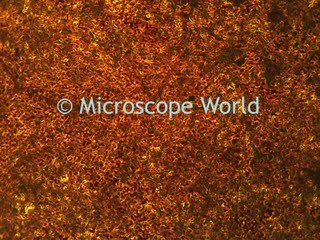 Phase contrast is often used to view specimens that are the same color as the background they are against. 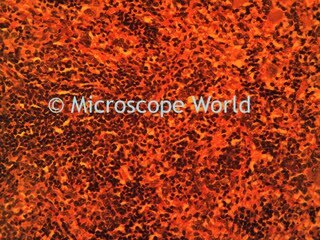 Sometimes rather than staining a specimen, phase contrast will be used to produce similar results.